Care2 Causes | Are Essential Oils Dangerous Endocrine Disruptors? Are Essential Oils Dangerous Endocrine Disruptors? 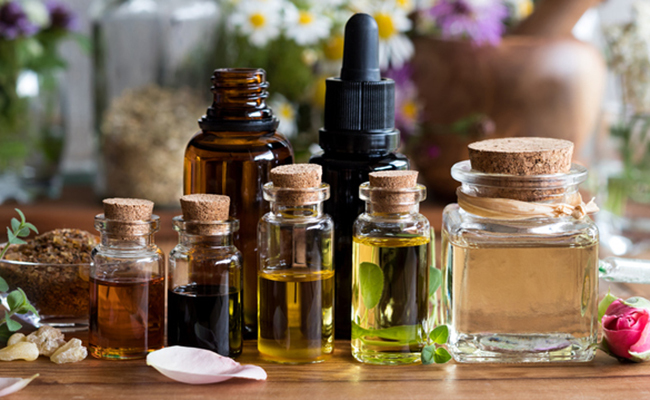 New research appears to add to existing research that exposure to two popular essential oils may lead pre-adolescent boys to developing excess breast tissue. Should you worry about essential oils and endocrine disruption? National Institute of Environmental Health Sciences (NIEHS) scientists presented findings this week at the Endocrine Society’s annual meeting in Chicago, which they say corroborates that some commonly used essential oils like lavender and tea-tree oil may carry unforeseen health complications. Essential oils are used in the US and much of the Western world and are growing in popularity. They are routinely cited for their therapeutic benefits, with lavender oil even recommended by some doctors as a way of aiding sleep, while tea tree is known to offer skin cleansing benefits due to its astringent properties. These essential oils are often added to a variety of products, from skin care right through to household cleaning products. The strength of the oils can vary, with some simply giving off a nice scent, to others being more potent. Because of their availability, we take it for granted that these essential oils are safe. However, there may be risks that have flown under the radar–until now. The researchers in this case point to a growing body of evidence that lavender and tea tree oil may disrupt our bodies’ hormone regulating system known as the endocrine system, and as a result may lead to boys growing abnormal breast tissue. It isn’t unusual for boys going through puberty to develop some small amounts of breast tissue, something that should disappear as they age. These studies however was looking at pronounced breast tissue in pre-pubescent boys, something that is rarer. One such piece of previous research was a 2007 study in the New England Journal of Medicine that concluded “repeated topical exposure to lavender and tea tree oils probably caused prepubertal gynecomastia” in a small sample of boys. That research was extremely limited in scope but not isolated. As such, the issue has been one that needs exploring. To further extend this research, the team from NIEHS focused on analyzing eight compounds that are found in lavender oil, tea tree oil, and common to many essential oils. These compounds are present either because they are just a common chemical or because they have to be included in order to be market ready. Four of the chemicals were found in both oils, and four were found in one or the other oil. The researchers then tested these oils on human cancer cells to measure if they changed the cells’ functioning. Some of the chemicals were shown to have at least some effect and changed either the male or female hormone balance of the cells. 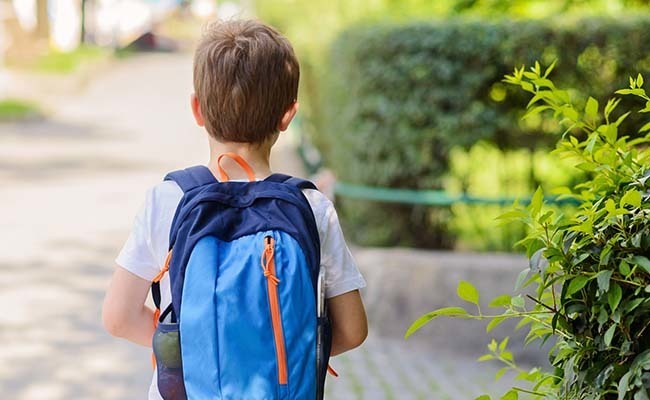 The researchers said they believe this shows that a number of the tested chemicals may link to abnormal breast tissue growth or gynecomastia in prepubescent boys. Of course, this doesn’t directly prove that essential oils exposure is the sole factor behind rising cases of gynecomastia in pre-adolescent males, with obesity likely to be major driving factor. Still, this adds to the body of evidence that many essential oils are endocrine system disruptors and therefore could contribute to this problem. The researchers conclude that essential oils need to be studied more closely. Should we be concerned about essential oil use? I would caution most users of essential oils against being alarmed about this research for a couple of reasons. Firstly, the lab settings in this latest test do not represent real-world exposure. Indeed, they weren’t designed to. Instead, they were trying to look at whether these essential oils could change our hormones in ways that might cause negative effects. They found there is a possibility for that, but that doesn’t necessarily mean that most people are at risk. Secondly, studies that have looked at real-world cases of lavender oil and tea-tree oil potentially linking to gynecomastia in prepubescent boys have all hinged on prolonged exposure to these oils. Moderate or occasional use, or low exposure due to watering down the oils (for example in baths) appears at this stage to represent little or no risk. Furthermore, it’s important to acknowledge that essential oils appear to carry some scientifically evidenced benefits when used in moderation and per safety guidelines. For example, compounds in lemon-based essential oils appear to lower pain experiences, and other reviews have found that there are significant benefits in using essential oils as a complementary therapy to other treatments, so long as they are administered with a doctor’s oversight. In short, this latest research expresses a need for more scrutiny on essential oils like lavender, because their use may carry certain risks. This does not negate their potential benefits but gives us a push toward further research so we can fully understand how we can best use tools like aromatherapy while guarding against any risks that might crop up. It is very likely that these tests were conducted with oils which were not purely organic. YES,, also poison to your lungs..
What a load of rubbish! It is clearly a very vague study to stop people using natural products. If you use essential oils that are pure and organic you have no problem. It is toxic chemicals in the home, in our products for the body and in processed foods, plus in the air we breath that are hormone disruptors. Keep your liver healthy with wholefood diet, natural living, water filters on your taps etc, and you will be fine.